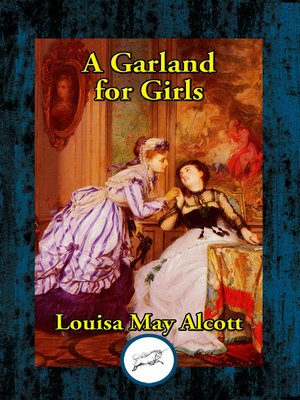 This is a series of vignettes by Louisa May Alcott that illustrate the idea by Sir Philip Sidney that "They are never alone that are accompanied with noble thoughts." The reader is introduced to several young women who discover great satisfaction when they do what each can do and still have a renewed desire to be of more assistance while also witnessing the more somber parts of life. In "Pansies" Mrs. Warburton assures others that "hearts don't break if they know where to go for strength." Ruth asks in "Water-lilies" if she can be forgiven her modesty, courage, and faithfulness. Rosamund of "Little Button Rose" declares "you've made my troubles go, can't I make yours?" Finally in "Mountain-Laurel" Becky realizes that she can become a more useful and honored woman by putting the directives of her poetry into her life than by singing for her fame. For the characters of Alcott's Garland, "When everything seemed darkest, good luck came."